You are here: Home / Investments / Do Fixed Deposits Help in Funding your Retirement? Retirement and financial security are synonymous to each other. Knowing that one day, the financial security that you’ve worked so hard to attain will no longer keep your mind at peace is indeed a troubling thing to come to terms with. Once retirement strikes, the cash flow stops and suddenly the bank balance dries up. Thus, it is imperative for young professionals today to save money from the outset of their career. Just saving money, by letting it accumulate in a bank account, is not going to get you anywhere. On the contrary, a sound financial decision would be to invest your savings smartly and grow your money. There are many kinds of investment options available, ranging from gold and real estate to financial instruments such as mutual funds of various kinds. You can inculcate a habit of financial discipline through these forms of investing and they can reap huge dividends for you. While these options are rewarding, another alternative that you can explore is fixed deposits – a stable and reliable source of income. And even though fixed deposits are not kept at a very high regard, when compared to mutual funds and equity investing, they’re still a good and viable option to fund your retirement. Now, in all probability, you might already be knowing what are fixed deposits, so we won’t bore you with that. But at the same time, it’s also important to know about the various aspects of them and how they can act as an attractive proposition to help you during your golden years of life. The greatest advantage of having a fixed deposit (FD) is the surety it provides in terms of returns. Given the fact that you’d already be knowing about the rate of interest and the number of fixed years for which you’ve invested, FD essentially becomes a zero-risk investment option, providing a fixed amount at the end of the term. To put that into perspective, let’s say you invest Rs. 10 lakhs for a period of 25 years at around 6.5% compound interest per annum. (In India, the maximum tenure for an FD is 10 years, so by 25 years we mean 3 consecutive FD investments of 10 years, 10 years and 5 years.) Trying to calculate your earnings? Below is a break up of your returns for every 5 year time period. The returns do look handsome, right! But that’s not all that an FD investment can offer you. Your FD investment, up to Rs. 1 lakh, is insured by the bank. In case, you want to fix a larger amount and want the entirety of it to be insured, you can split the amount into several smaller FDs and can then avail an insurance on all of them. There’s no risk of loss involved in FDs, and you can even make premature withdrawals if you find yourself in need of some urgent money. Although doing so will result in a small penalty charged by the bank, overall, since the principal amount is going to stay unaffected, there’s no considerable loss happening! You are charged no tax on your earnings from FDs till they reach Rs 10,000. And only the amount you earn beyond that will be taxable, according to the Income Tax Act, 1961. One way to get around this is by investing your money for a longer duration in a tax saving FD. Here, the principal amount you invest gets exempted from any taxation, and your money gets locked in for a period of 5 years. However, in this scenario, you can’t break this deposit. Although this varies from bank to bank, senior citizens get a preferential rate for their FDs. In most cases, it is 0.5% higher than the rate offered to regular individuals. So if you’re well into your retirement age – you can continue to have your FDs and get more interest! This is a useful fact to leverage for your savings. You might not want to invest all your money into FDs at one go. Keep opening new FDs as and when you have the money to invest. This way you can have multiple FDs of varying amounts over different periods of time – all of which will mature to give you stable returns! Also Read: Why avoiding Bad Investments is important than focussing on Good Investments? There is no doubt about the fact that they provide a very stable platform for savings. 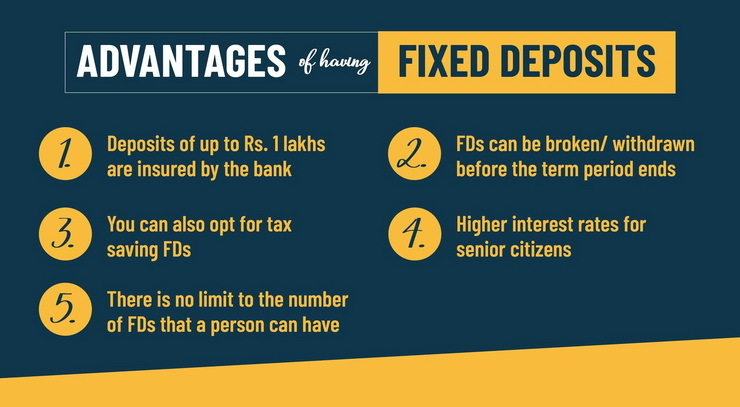 And because of these very reasons, fixed deposits should be an additional investment option alongside other tools. There’s literally zero risks of loss, and nothing can beat that! This being said, there’s a big downfall with them as well. 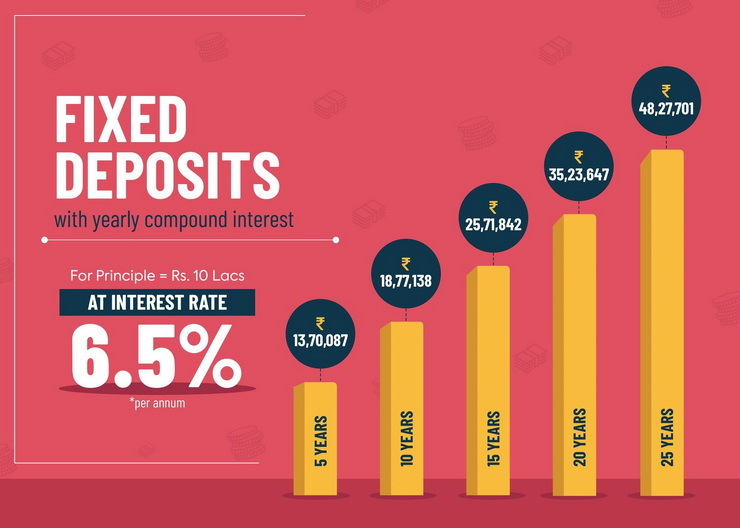 Fixed deposits offer a rate of interest that is low, in comparison to some other investment options such as, mutual funds, or gold, or real estate, etc. But then they also have a significantly higher risk involved so if you don’t have a higher risk appetite, FDs is what you should be necessarily looking at. All in all, one thing can definitely be said of the FDs – they have all the potential to fund your retirement. This piece has been written by Samant Sikka, Chief Dreamer & Founder of Sqrrl – a personal finance, fintech venture targeted at young Indians helping them improve their relationship with money ultimately helping them Save, Invest & Prosper!! Samant has been a student of financial markets & human behavior for 20+ years helping investors, institutions, and advisors. 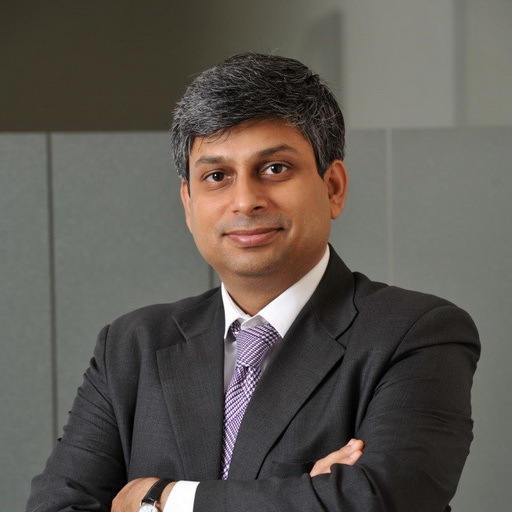 He has vast experience across Strategy, Sales, Business Development & Advisory Roles with stints at Axis Asset Management, Goldman Sachs, Franklin Templeton, AIG, and Darashaw & Company.